Los Angeles, CA – Parents and community-based organizations will hold a press conference on Wednesday, January 23, 2019 from 10 a.m. – 11 a.m. at Los Angeles City Hall (200 N. Spring Street, Los Angeles) to thank United Teachers Los Angeles (UTLA), Los Angeles Unified School District (LAUSD), and Los Angeles Mayor Eric Garcetti for their efforts to work toward a tentative agreement that put an end to the strike, which allowed 600,000 students and their teachers to return to the classroom. During the press conference, parents will don white and carry white handkerchiefs to show neutrality and support for collaboration. Participants will call for all parties to work for unity, healing and action. During the strike, passions ran high, but as teachers return to the classroom and school communities to their normalcy, LAUSD and UTLA will need to work together to help families, administrators and educators find unity, and rebuild trust and respect. 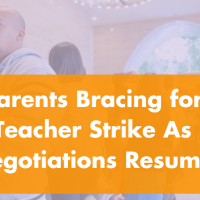 Parents will ask the parties to work toward healing fractured relationships that emerged as a result of the strike, and will likely continue in its aftermath, and avoid further and future disruption to school communities, and student instruction and learning. Participants will raise awareness about the strike’s impact on low-income students and their families, a student demographic the group says was largely ignored during the demonstrations. Understanding that an overwhelming majority of LAUSD students are low-income (82% qualify for free and reduced-price meals) and that nearly three out of four Latinos students are not at grade-level in math – nearly two out of three are not at grade level in English, and outcomes for African American and Native American children aren’t any better, parents ask that LAUSD and UTLA offer opportunities for their inclusion in decision-making processes that span beyond the classroom, affect investments, and have a direct impact in student academic achievement and wellbeing. Parents cannot and should not be left as spectators on the sidelines while others make decisions about their children’s future and education. They can and should be active participants in discussions regarding critical educations issues. As partners in education, parents can offer unique perspectives and support, but they need transparency from all entities at the negotiating table (UTLA, LAUSD, City of Los Angeles). They need inclusion – and action. The conference will also call on parents, school and community leaders to lead by example – show collaboration, and the desire to work in unison. Our children are depending on us, particularly vulnerable students populations like low-income, immigrant, English Learners, special needs and foster care students. 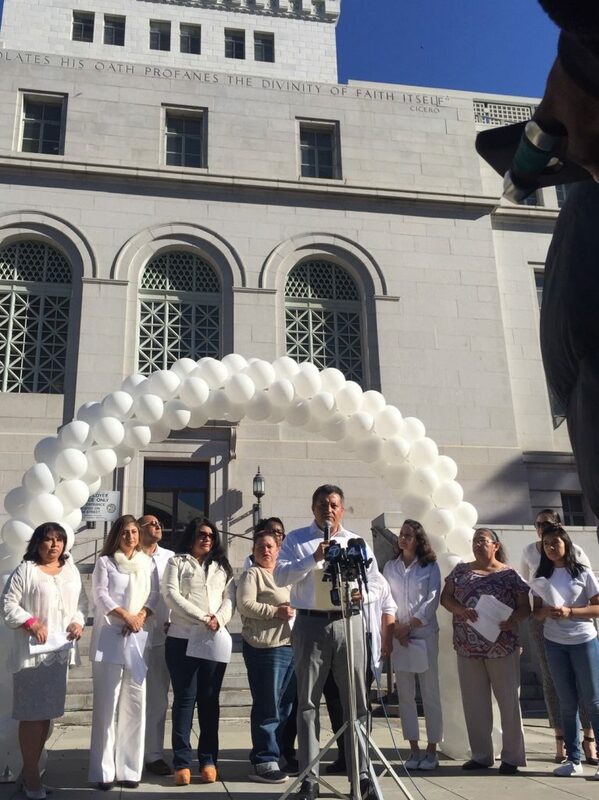 For more information about the press conference contact Cynthia Pérez at (831) 227-9179 or via e-mail at cperez@familiesinschools.org, or Evelyn Aleman at (818) 943-2481 or via e-mail at evelyn@mipr.net.